Tenor Conrad Siebert spent his childhood in Colombia and returned to the Canadian prairies where he studied philosophy and music before beginning a career in opera. Since then he has portrayed the roles of Ferrando in Così fan Tutte (Manitoba Underground Opera), Ottavio in _#Uncle John_ (Against the Grain Theatre), Nemorino in _L’Elisir d’Amore_ (Centre for Opera Studies in Italy), Ramiro in La Cenerentola(OperaNuova), Alfred in _Die Fledermaus_ (OperaNuova), and Frederic in _The Pirates of Penzance_ (G&S Society of Winnipeg), among others. He is a graduate of the University of Toronto Opera School, where he was Peter Quint in Britten’s Turn of the Screw. As a concert soloist he has appeared with various Winnipeg ensembles including the Winnipeg Symphony Orchestra, most recently in Handel’sMessiah. 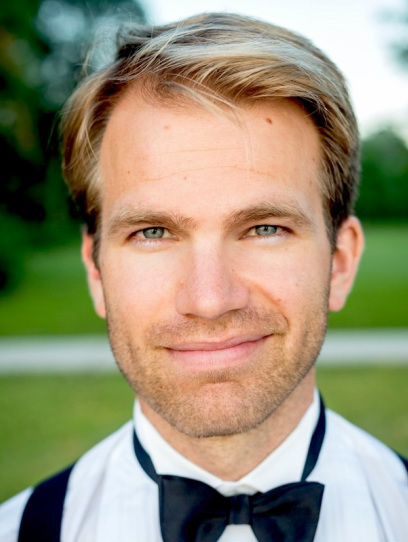 Now in Toronto he has been soloist with Tafelmusik, Orpheus and Durham Philharmonic choirs. Credits include Mozart’s Requiem, Bach’s Magnificat, B Minor Mass, various Cantatas, Gounod’s St. Cecilia Mass, and Beethoven’s Mass in C. He has also won numerous prizes for his sensitive interpretation of Lieder and Art Song.